"Pollination" is a flower exhibit at The Callyx, an indoor and outdoor exhibition space at the Royal Botanic Garden. The colourful garden beds feature orchids, daisies, gardenias and lilies. 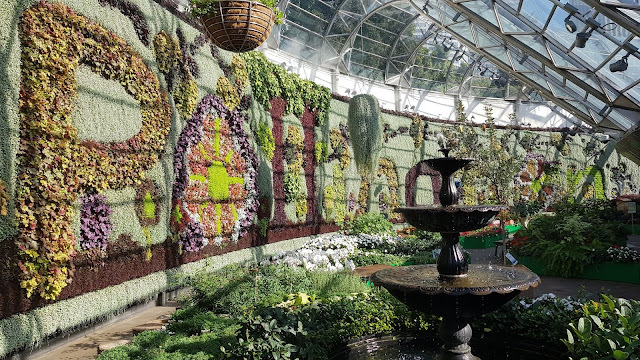 The green wall stands at 6 metres high and spans 50 metres and features dicondra, syngonium and heuchera, planted to form the word Pollination. Linked to: Signs, Signs, Floral Friday Foto. This would take some meticulous work! ...those green walls are lovely.